result=Confirmation of Irish Free State and defeat of anti-Treaty IRA forces. The Irish Civil War ( ; 28 June 1922 – 24 May 1923) was a conflict that accompanied the establishment of the Irish Free State as an entity independent from the United Kingdom within the British Empire. The conflict was waged between two opposing groups of Irish nationalists: the forces of the "Provisional Government" that established the Free State in December 1922, who supported the Anglo-Irish Treaty, and the Republican opposition, for whom the Treaty represented a betrayal of the Irish Republic. The war was won by the Free State forces. The Civil War may have claimed more lives than the War of Independence against Britain that preceded it, and left Irish society divided and embittered for decades afterwards. To this day, the two main political parties in the Republic of Ireland , Fianna Fáil and Fine Gael, are the direct descendants of the opposing sides in the War . The Anglo-Irish Treaty arose from the Irish War of Independence, fought between Irish separatists (organised as the Irish Republic) and the British government, from 1919-1921. The treaty provided for a self-governing Irish state in 26 of Ireland's 32 counties, having its own army and police. However, rather than creating the independent republic favoured by most nationalists, the Irish Free State would be an autonomous dominion of the British Empire with the British monarch as head of state, in the same manner as Canada and Australia. Anglo-Irish Treaty, 6 December 1921 This was to be expected from the mutual secret correspondence even before treaty negotiations began. The treaty also stipulated that members of the new Irish Oireachtas (parliament) would have to take the following "Oath of Allegiance"
"I... do solemnly swear true faith and allegiance to the Constitution of the Irish Free State as by law established, and that I will be faithful to His Majesty King George V, his heirs and successors by law in virtue of the common citizenship of Ireland with Great Britain and her adherence to and membership of the group of nations forming the British Commonwealth of nations". This oath was considered highly objectionable by many Irish Republicans. Furthermore under the treaty, the state was not to be called a republic but a "free state" and it would be limited to the 26 southern and western counties of Ireland. The remaining six north-eastern counties, with their Protestant majority, would opt to remain part of the United Kingdom as Northern Ireland . The partition of Ireland had already been decided by the Westminster parliament in the Government of Ireland Act 1920 and was confirmed in the Anglo-Irish treaty. Also, several strategic ports were to remain occupied by the Royal Navy. Nonetheless, Michael Collins, the republican leader who had led the Irish negotiating team, argued that the treaty gave "not the ultimate freedom that all nations aspire and develop, but the freedom to achieve freedom". However, anti-treaty militants in 1922 believed that the treaty would never deliver full Irish independence. The split over the treaty was deeply personal. Many of the leaders on both sides had been close friends and comrades during the War of Independence. This made their lethal disagreement over the treaty all the more bitter. Michael Collins later said that Éamon de Valera had sent him as plenipotentiary to negotiate the treaty because he knew that the British would not concede an independent Irish republic and wanted Collins to take the blame for the compromise settlement. He said he was deeply betrayed when de Valera refused to stand by the agreement that the plenipotentiaries had negotiated with David Lloyd George and Winston Churchill. De Valera, for his part, was furious that Collins and Arthur Griffith had signed the treaty without consulting him or the Irish cabinet as instructed. Dáil Éireann (the parliament of the Irish Republic) narrowly passed the Anglo-Irish Treaty by 64 votes to 57 on 7 January 1922. Following the Treaty's ratification, a "Provisional Government", headed by Michael Collins and Arthur Griffith, was set up to transfer power from the British administration to the Irish Free State. "If the Treaty were accepted, [by the electorate] the fight for freedom would still go on, and the Irish people, instead of fighting foreign soldiers, will have to fight the Irish soldiers of an Irish government set up by Irishmen." At Thurles , several days later, he repeated this imagery and added that the IRA: "...would have to wade through the blood of the soldiers of the Irish Government, and perhaps through that of some members of the Irish Government to get their freedom." In a letter to the Irish Independent on 23 March de Valera accepted the accuracy of their report of his comment about "wading" through blood, but deplored that the newspaper had published it. More seriously, the majority of the Irish Republican Army (IRA) officers were also against the treaty and in March 1922, their ad-hoc Army Convention repudiated the authority of the Dáil to accept the treaty. The Anti-Treaty IRA formed their own "Army Executive", which they declared to be the real government of the country, despite the result of the 1921 general election. On 26 April the Minister of Defence, Richard Mulcahy, summarised alleged illegal activities by many IRA men over the previous three months, whom he described as 'seceding volunteers', including hundreds of robberies. Yet this fragmenting army was the only police force on the ground following the disintegration of the Irish Republican Police and the disbanding of the Royal Irish Constabulary (RIC) . By putting ten questions to General Mulcahy on 28 April, Seán McEntee argued that the Army Executive had acted continuously on its own to create a republic since 1917, had an unaltered constitution, had never fallen under the control of the Dáil, and that: "the only body competent to dissolve the Volunteer Executive was a duly convened convention of the Irish Republican Army" - not the Dáil. By accepting the treaty in January and abandoning the republic, the Dáil majority had effectively deserted the Army Executive. Then in a debate on defence, McEntee suggested that supporting the Army Executive "... even if it meant the scrapping of the Treaty and terrible and immediate war with England, would be better than the civil war which we are beginning at present apparently." McEntee's supporters added that the many robberies complained of by Mulcahy on 26 April were caused by the lack of payment and provision by the Dáil to the volunteers. In the months leading up to the outbreak of civil war, there were a number of armed confrontations between the opposing IRA factions. In March, there was a major stand-off between up to 700 armed pro- and anti-treaty fighters in Limerick over who would occupy the military barracks being vacated by departing British troops. The situation was temporarily resolved in April when, after arbitration, the two sides agreed to occupy two barracks each. In April, a pro-treaty general, Adamson, was shot dead by anti-treatyites in Athlone . In early May, there was an even more serious clash in Kilkenny , when anti-treaty forces occupied the centre of the town and 200 pro-treaty troops were sent from Dublin to disperse them. On 3 May, the Dáil was informed 18 men had been killed in the fighting in Kilkenny. In a bid to avoid an all-out civil war, both sides agreed to a truce on 3 May 1922. Collins established an "army re-unification committee" to re-unite the IRA and organised an election pact with de Valera's anti-treaty political followers to campaign jointly in the Free State's first election in 1922 and form a coalition government afterwards. He also tried to reach a compromise with anti-treaty IRA leaders by agreeing to a republican-type constitution (with no mention of the British monarchy) for the new state. IRA leaders such as Liam Lynch were prepared to accept this compromise. However, the proposal for a republican constitution was vetoed by the British as being contrary to the terms of the treaty and they threatened military intervention in the Free State unless the treaty were fully implemented. Collins reluctantly agreed. This completely undermined the electoral pact between the pro- and anti-treaty factions, who went into the Irish general election on 18 June 1922 as hostile parties, both calling themselves Sinn Féin. The Pro-Treaty Sinn Féin party won the election with 239,193 votes to 133,864 for Anti-Treaty Sinn Féin. A further 247,226 people voted for other parties, most of whom supported the Treaty (although Labour's 132,570 votes were ambiguous with regard to the Treaty ). The election showed that a majority of the Irish electorate supported the treaty and the foundation of the Irish Free State, and that the Sinn Féin party did not represent the opinions of everyone in the new state, but de Valera, his political followers and most of the IRA continued to oppose the treaty. De Valera is quoted as saying, "the majority have no right to do wrong". Meanwhile, under the leadership of Michael Collins and Arthur Griffith, the pro-treaty Provisional Government set about establishing the Irish Free State, and organised the National Army - to replace the IRA - and a new police force. However, since it was envisaged that the new army would be built around the IRA, Anti-Treaty IRA units were allowed to take over British barracks and take their arms. In practice, this meant that by the summer of 1922, the Provisional Government of the Free State controlled only Dublin and some other areas like Longford where the IRA units supported the treaty. Fighting would ultimately break out when the Provisional Government tried to assert its authority over well-armed and intransigent Anti-Treaty IRA units around the country - particularly a hardline group in Dublin . On 14 April 1922, 200 Anti-Treaty IRA militants, led by Rory O'Connor, occupied the Four Courts and several other buildings in central Dublin , resulting in a tense stand-off. These anti-treaty Republicans wanted to spark a new armed confrontation with the British, which they hoped would unite the two factions of the IRA against their common enemy. However, for those who were determined to make the Free State into a viable, self-governing Irish state, this was an act of rebellion that would have to be put down by them rather than the British. Arthur Griffith was in favour of using force against these men immediately, but Michael Collins, who wanted at all costs to avoid civil war, left the Four Courts garrison alone until late June 1922. By this point the Pro-Treaty Sinn Féin party had secured a large majority in the general election, along with other parties that supported the Treaty. Collins was also coming under continuing pressure from London to assert his government's authority in his capital. The British lost patience as result of an action secretly ordered by Collins. He had Henry Hughes Wilson, a retired British Army field marshal, assassinated in London on 22 June because of his role in Northern Ireland . Winston Churchill assumed that the Anti-Treaty IRA were responsible for the killing and warned Collins that he would use British troops to attack the Four Courts unless the Free State took action. In fact the British cabinet actually resolved to attack the Four Courts themselves on 25 June, in an operation that would have involved tanks, howitzers and aeroplanes. However, on the advice of General Nevil Macready, who commanded the British garrison in Dublin, the plan was cancelled at the last minute. Macready's argument was that British involvement would have united Irish Nationalist opinion against the treaty and instead Collins was given a last chance to clear the Four Courts himself. The final straw for the Free State government came on 27 June, when the Four Courts republican garrison kidnapped JJ "Ginger" O'Connell, a general in the new National Army. Collins, after giving the Four Courts garrison a final ultimatum to leave the building, decided to end the stand-off by bombarding the Four Courts garrison into surrender. The government then appointed Collins as Commander-in-Chief of the National Army. This attack was not the opening shots of the war as skirmishes had taken place between pro- and anti-treaty IRA factions throughout the country when the British were handing over the barracks. However, this represented the 'point of no return' when all-out war was ipso facto declared and the Civil War officially began. Collins had accepted a British offer of artillery for use by the new army of the Free State (though General Macready gave just 200 shells of the 10,000 he had in store at Kilmainham barracks). The anti-treaty forces in the Four Courts, who possessed only small arms, surrendered after two days of bombardment and the storming of the building by Free State troops (June 28-30 1922). Shortly before the surrender of the Four Courts, a massive explosion destroyed the western wing of the complex including the Irish Public Record Office, injuring many advancing Free State soldiers and destroying the records of several centuries of government in Ireland. It was alleged by government supporters that the building had been deliberately mined Historians dispute whether the PRO was intentionally destroyed by mines laid by the Republicans on their evacuation or if the explosions occurred when their ammunition store was accidentally ignited by the bombardment Pitched battles continued in Dublin until 5 July, as Anti-Treaty IRA units from the Dublin Brigade, led by Oscar Traynor, occupied O'Connell Street - provoking a week's more street fighting. The fighting cost both sides 65 killed and 280 wounded. Among the dead was Republican leader Cathal Brugha, who made his last stand after exiting the Granville Hotel. In addition, the Free State took over 500 Republican prisoners. The civilian casualties are estimated to have numbered well over 250. When the fighting in Dublin died down, the Free State government was left firmly in control of the Irish capital and the anti-treaty forces dispersed around the country, mainly to the south and west. The outbreak of the Civil War forced pro- and anti-treaty supporters to choose sides. Supporters of the treaty came to be known as "pro-treaty" or "Free State Army", legally the "National Army", and were often called "Staters" by their opponents. The latter called themselves "Republicans" and were also known as "anti-treaty" forces, or "Irregulars", a term preferred by the Free State side. The Anti-Treaty IRA claimed that it was defending the Irish Republic that had been declared in 1916 during the Easter Rising, that had been confirmed by the First Dáil and that had been invalidly set aside by those who accepted the compromise of the Free State. 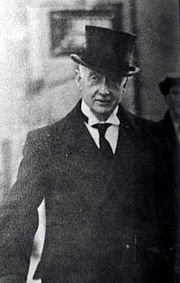 Éamon de Valera stated that he would serve as an ordinary IRA volunteer and left the leadership of the Anti-Treaty Republicans to military leaders such as Liam Lynch, the IRA Chief of Staff. The Civil War split the IRA. When the Civil War broke out, the Anti-Treaty IRA (concentrated in the south and west) outnumbered the pro-Free State forces by roughly 15,000 men to 7,000 or over 2-1. (The paper strength of the IRA in early 1922 was over 72,000 men, but most of them were recruited during the truce with the British and fought in neither the War of Independence nor the Civil War). However, the Anti-Treaty IRA lacked an effective command structure, a clear strategy and sufficient arms. They started the war with only 6,780 rifles and a handful of machine guns. Many of their fighters were armed only with shotguns. They also took a handful of armoured cars from British troops as they were evacuating the country. More important still, they had no artillery of any kind. As a result, they were forced to adopt a defensive stance throughout the war. By contrast, the Free State government managed to expand its forces dramatically after the start of the war. Michael Collins and his commanders were able to build up an army which was able to overwhelm their opponents in the field. British supplies of artillery, aircraft, armoured cars, machine guns, small arms and ammunition were much help to pro-treaty forces. The National Army amounted to 14,000 men by August 1922, was 38,000 strong by the end of 1922 and by the end of the war, it had swollen to 55,000 men and 3,500 officers, far in excess of what the Irish state would need to maintain in peacetime. Collins' most ruthless officers and men were recruited from the Dublin "Active Service Unit" (the elite unit of the IRA's Dublin Brigade), which Collins had commanded in the Irish War of Independence and in particular from his assassination unit, "The Squad". In the new National Army, they were known as the Dublin Guard. Towards the end of the war, they were implicated in some notorious atrocities against anti-treaty guerrillas. Most of the National Army's officers were Pro-Treaty IRA men, as were a substantial number of their soldiers. However, many of the new army's other recruits were unemployed veterans of the First World War, where they had served in the Irish Division of the British Army. Former British Army officers were also recruited for their technical expertise. A number of the senior Free State commanders such as Emmet Dalton John T. Prout and W.R.E. Murphy had seen service as officers in World War One, Dalton and Murphy in the British Army and Prout in the US Army. The Republicans made much use of this fact in their propaganda — claiming that the Free State was only a proxy force for Britain itself. However, in fact, the majority of the Free State soldiers were raw recruits without military experience in either the First World War or the subsequent Irish War of Independence. With Dublin in pro-treaty hands, conflict spread throughout the country. The war started with the anti-treaty forces holding Cork , Limerick and Waterford as part of a self-styled independent "Munster Republic". However, since the anti-treaty side were not equipped to wage conventional war, Liam Lynch was unable to take advantage of the Republicans' initial advantage in numbers and territory held. He hoped simply to hold the "Munster Republic" long enough to force Britain to re-negotiate the treaty. The large towns in Ireland were all relatively easily taken by the Free State in August 1922. Michael Collins, Richard Mulcahy and Eoin O'Duffy planned a nationwide Free State offensive, dispatching columns overland to take Limerick in the west and Waterford in the south-east and seaborne forces to take counties Cork and Kerry in the south and Mayo in the west. In the south, landings occurred at Union Hall in Co. Cork and Fenit, the port of Tralee, in Co. Kerry. Limerick fell on 20 July, Waterford on the same day and Cork city on 10 August after a Free State force landed by sea at Passage West . Another seaborne expedition to Mayo in the west secured government control over that part of the country. While in some places the Republicans had put up determined resistance, nowhere were they able to defeat regular forces armed with artillery and armour. The only real conventional battle during the Free State offensive, the Battle of Killmallock, was fought when Free State troops advanced south from Limerick. Government victories in the major towns inaugurated a period of guerrilla warfare. After the fall of Cork, Liam Lynch ordered Anti-Treaty IRA units to disperse and form flying columns as they had when fighting the British. They held out in areas such as the western part of counties Cork and Kerry in the south, county Wexford in the east and counties Sligo and Mayo in the west. Sporadic fighting also took place around Dundalk , where Frank Aiken and the Fourth Northern Division of the Irish Republican Army were based and Dublin, where small scale but regular attacks were mounted on Free State troops. August and September 1922 saw widespread attacks on Free State forces in the territories they had occupied in the July-August offensive, inflicting heavy casualties on them. Commander-in-Chief Michael Collins was killed in an ambush by anti-treaty Republicans at Béal na mBláth, near his home in County Cork , in August 1922.In the 1996 film Michael Collins, Éamon de Valera meets the killer of Michael Collins prior to the assassination. However, although de Valera was in the area at the time, he is not thought to have ordered the assassination. Collins' death increased the bitterness of the Free State leadership towards the Republicans and probably contributed to the subsequent descent of the conflict into a cycle of atrocities and reprisals. Arthur Griffith, the Free State president had also died of a brain hemorrhage ten days before, leaving the Free State government in the hands of W. T. Cosgrave and the Free State army under the command of General Richard Mulcahy. For a brief period, with rising casualties among its troops and its two principal leaders dead, it looked as if the Free State might collapse. However as winter set in the republicans found it increasingly difficult to sustain their campaign and casualty rates among National Army troops dropped rapidly. For instance, in County Sligo, 54 people died in the conflict of whom all but 8 had been killed by the end of September . In the autumn and winter of 1922, Free State forces broke up many of the larger Republican guerrilla units - in Sligo, Meath, and Connemara in the west, for example and in much of Dublin city. . Elsewhere Anti-Treaty units were forced by lack of supplies and safe-houses to disperse into smaller groups, typically of nine to ten men. Despite these successes for the National Army, it took eight more months of intermittent warfare before the war was brought to an end. By late 1922 and early 1923, the Anti Treaty guerrillas' campaign had been reduced largely to acts of sabotage and destruction of public infrastructure such as roads and railways. . It was also in this period that the Anti-Treaty IRA began burning the homes of Free State Senators and of many of the Anglo-Irish landed class. In October 1922, Éamon de Valera and the anti-treaty Teachta Dála (TDs, Members of Parliament) set up their own "Republican government" in opposition to the Free State. However, by then the anti-treaty side held no significant territory and de Valera's "government" had no authority over the population. In any case, the IRA leaders paid no attention to it, seeing the Republican authority as vested in their own military leaders. The final phase of the Civil War degenerated into a series of atrocities that left a lasting legacy of bitterness in Irish politics. The Free State began executing Republican prisoners on 17 November 1922, when five IRA men were shot by firing squad. They were followed on 24 November by the execution of acclaimed author and treaty negotiator Robert Erskine Childers. In all, the Free State sanctioned 77 official executions of anti-treaty prisoners during the Civil War. The Anti-Treaty IRA in reprisal assassinated TD Seán Hales. On 7 December 1922, the day after Hales' killing, four prominent Republicans (one from each province), who had been held since the first week of the war—Rory O'Connor, Liam Mellows, Richard Barrett and Joe McKelvey — were executed in revenge for the killing of Hales. In addition, Free State troops, particularly in County Kerry , where the guerrilla campaign was most bitter, began the summary execution of captured anti-treaty fighters. The most notorious example of this occurred at Ballyseedy, where nine Republican prisoners were tied to a landmine, which was detonated, killing eight and only leaving one, Stephen Fuller, who was blown clear by the blast, to escape. The number of "unauthorised" executions of Republican prisoners during the war has been put as high as 153. Among the Republican reprisals were the assassination of Kevin O'Higgins' father and WT Cosgrave's uncle in February 1923 .
a system of murder and assassination of the National forces without any legitimate authority... the guerrilla warfare now being carried on [by] the Irregulars is without moral sanction and therefore the killing of National soldiers is murder before God, the seizing of public and private property is robbery, the breaking of roads, bridges and railways is criminal. All who in contravention of this teaching, participate in such crimes are guilty of grievous sins and may not be absolved in Confession nor admitted to the Holy Communion if they persist in such evil courses. Churchmen were appalled by the ruthlessness and cruelty. The Church's support for the Free State aroused bitter hostility among some republicans. Although the Catholic Church in independent Ireland has often been seen as a triumphalist Church, a recent study has found that it felt deeply insecure after these events. By early 1923, the offensive capability of the IRA had been seriously eroded and when, in February 1923, Republican leader Liam Deasy was captured by Free State forces, he called on the republicans to end their campaign and reach an accommodation with the Free State. The State's executions of Anti-Treaty prisoners, 34 of whom were shot in January 1923, also took its toll on the Republicans' morale. In addition, the National Army's operations in the field were slowly but steadily breaking up the remaining Republican concentrations. . .
March and April 1923 saw this progressive dismemberment of the Republican forces continue with the capture and sometimes killing of guerrilla columns. . A National Army report of 11 April stated, "Events of the last few days point to the beginning of the end as a far as the irregular campaign is concerned" . As the conflict petered out into a de facto victory for the pro-treaty side, de Valera asked the IRA leadership to call a ceasefire, but they refused. The Anti-Treaty IRA executive met on 26 March in county Tipperary to discuss the war's future. Tom Barry proposed a motion to end the war, but it was defeated by 6 votes to 5. Éamon de Valera was allowed to attend, after some debate, but was given no voting rights . Liam Lynch, the intransigent Republican leader, was killed in a skirmish in the Knockmealdown mountains in County Tipperary on 10 April. The National Army had extracted information from Republican prisoners in Dublin that the IRA Executive was in the area and as well as killing Lynch, they also captured senior Anti-Treaty IRA officers Dan Breen, Todd Andrews, Seán Gaynor and Frank Barrett in the operation. It is often suggested that the death of Lynch allowed the more pragmatic Frank Aiken, who took over as IRA Chief of Staff, to call a halt to what seemed a futile struggle. Aiken's accession to IRA leadership was followed on 30 April by the declaration of a ceasefire on behalf of the anti-treaty forces. On 24 May 1923, Aiken followed this with an order to IRA volunteers to dump arms rather than surrender them or continue a fight which they were incapable of winning. Éamon de Valera supported the order, issuing a statement to Anti-Treaty fighters on 24 May; Thousands of Anti-Treaty IRA members (including Éamon de Valera on 15 August) were arrested by the Free State forces in the weeks and months after the end of the war, when they had dumped their arms and returned home. The Free State government had started peace negotiations in early May which broke down. Without a formal peace, holding 13,000 prisoners and worried that fighting could break out again at any time, it enacted the Emergency Powers Act on 2 July by a vote of 37 - 13. Shortly following the end of the civil war, a General Election was held, which Cumann na nGaedhael, the pro-Free State party, won with about 40% of the vote. The Republicans, represented by Sinn Fein, won about 27% of the vote. Many of their candidates and supporters were still imprisoned before during and after the election. Although the cause of the Civil War was the Treaty, as the war developed the Republicans sought to identify their actions with the traditional Republican cause of the "men of no property" and the result was that large Anglo-Irish landowners and some not very well-off former Protestant Loyalists were attacked. A total of 192 "stately homes" of the old landed class were destroyed by Republicans during the war. The stated reason for such attacks was that some landowners had become Free State senators. In October 1922, a deputation of Southern Unionists met WT Cosgrave to offer their support to the Free State and some of them had received positions in the State's Upper House or Senate. Among the prominent senators whose homes were attacked were: Palmerstown House near Naas which belonged to the Earl of Mayo, Moore Hall in Mayo (the house of Oliver St. John Gogarty, who also survived an assassination attempt), Horace Plunkett (who had helped to establish the rural co-operative schemes), and Senator Henry Guinness (which was unsuccessful). Also burned was Marlfield House in Clonmel , the home of Senator John Philip Bagwell with its extensive library of historical documents. Bagwell was kidnapped and held in the Dublin Mountains , but later released when reprisals were threatened. Though the Wyndham Act of 1903 allowed tenants to buy land from their landlords some small farmers, particularly in Mayo and Galway simply occupied land belonging to political opponents during this period when the RIC had ceased to function. In 1919, senior Sinn Féin officials were sufficiently concerned at this unilateral action that they instituted Arbitration Courts to adjudicate disputes. Sometimes these attacks had sectarian overtones, although most Anti-Treaty IRA men made no distinction between Catholic and Protestant supporters of the Irish government. In July 1922 a Protestant orphanage near Clifden , County Galway , housing 32 children was burnt by the anti-treaty side. The children were subsequently transferred to England on board a British destroyer as the Free State government was unable to rescue them. The proselytising aspect of the Society for Irish Church Missions, which ran the institutions, had long been a source of local resentment. Controversy continues to this day about the extent of intimidation of Protestants at this time. Many left Ireland during and after the Civil War. Dr Andy Bielenberg of UCC considers that about 41,000 left Ireland between 1919 and 1923, who were not linked to the former British administration. He has found that a "high watermark" of this 41,000 left between 1921 and 1923. In all, from 1911-1926, the Protestant population of the 26 counties fell 10.4%-7.4% of the total. The Civil War, though short, was bloody. It cost the lives of many public figures, including Michael Collins, Cathal Brugha and Liam Lynch. Both sides carried out brutal acts: the anti-treaty forces murdered TDs and burned many historic homes, while the government executed anti-treaty prisoners, officially and unofficially. Precise figures for the dead and wounded have yet to be calculated. The pro-treaty forces may have suffered between 540-800 fatalities, and the anti-treaty forces appear to have received considerably heavier losses. There is, as yet, no figure for civilian deaths. A maximum figure of 4,000 deaths has been suggested. The new police force was not involved in the war, which meant that it was well-placed to develop into an unarmed and politically neutral police service after the war. It had been disarmed by the Government in order to win public confidence in June-September 1922 and in December 1922, the IRA issued a General Order in December 1922 not to fire on the Civil Guard The Criminal Investigation Department, or CID, a 350 strong, armed, plain-clothed Police Corps that had been established during the conflict for the purposes of counter-insurgency, was disbanded in October 1923, shortly after the conflict's end . "Every Deputy in this House is aware of the complaint which has been made that the measure of compensation for post-Truce damage compares unfavourably with the awards for damage suffered pre-Truce." The fact that the Irish Civil War was fought between Irish Nationalist factions meant that the issue of Northern Ireland was ignored and Ireland was spared what could have been a far bloodier civil war based on ethnic and sectarian lines over the future of Ireland's six north-eastern counties. In fact, because of the Irish Civil War, Northern Ireland was able to consolidate its existence and partition of Ireland was confirmed for the foreseeable future. The war confirmed the northern Unionists' existing prejudices against the ethos of all shades of nationalism. Collins, up to the outbreak of the Civil War and possibly until his death, had been planning to launch a clandestine guerrilla campaign against the North and was funnelling arms to the northern units of the IRA to this end. This may have led to open hostilities between North and South had the Irish Civil War not broken out. In the event, it was only well after their defeat in the Civil War that anti-treaty Irish Republicans seriously considered whether to take armed action against British rule in Northern Ireland (the first serious suggestion to do this came in the late 1930s). The northern units of the IRA largely supported the Free State side in the Civil War because of Collins's policies and over 500 of them joined the new Free State's National Army. The cost of the war and the budget deficit it caused was a difficulty for the new Free State and affected the Boundary Commission negotiations of 1925, which were to determine the border with Northern Ireland. The Free State agreed to waive its claim to predominantly Nationalist areas in Northern Ireland and in return its agreed share of the Imperial debt under the 1921 Treaty was not paid. In 1926, having failed to persuade the majority of the Anti-Treaty IRA or the anti-treaty party of Sinn Féin to accept the new status quo as a basis for an evolving Republic, a large faction led by de Valera and Aiken left to resume constitutional politics and to found the Fianna Fáil party. Whereas Fianna Fáil was to become the dominant party in Irish politics, Sinn Féin became a small, isolated political party. The IRA, then much more numerous and influential than Sinn Féin, remained associated with Fianna Fáil (though not directly) until banned by de Valera in 1935. In 1927, Fianna Fáil members took the Oath of Allegiance and entered the Dáil, effectively recognising the legitimacy of the Free State. The Free State was already moving towards independence by this point. In 1931, under the Statute of Westminster, the British Parliament gave up its right to legislate for members of the British Commonwealth. When elected to power in 1932, Fianna Fáil under de Valera set about dismantling what they considered to be objectionable features of the treaty, abolishing the Oath of Allegiance, removing the power of the Office of Governor General (British representative in Ireland) and abolishing the Senate, which was dominated by former Unionists and pro-treaty Nationalists. In 1937, they passed a new constitution which made a President the head of state, did not mention any allegiance to the British monarch and which included a territorial claim to Northern Ireland. The following year Britain returned without conditions the seaports it had kept under the terms of the treaty. Finally in 1948, a coalition government, containing elements of both sides in the Civil War (pro-treaty Fine Gael and anti-treaty Clann na Poblachta) left the British Commonwealth and re-named the Free State the Republic of Ireland . Thus, by the 1950s, with the exception of the partition of Ireland, the issues over which the Civil War had been fought were largely settled. As with most civil wars, the internecine conflict left a bitter legacy, which continues to influence Irish politics to this day. The two largest political parties in the republic are still Fianna Fáil and Fine Gael, the descendants respectively of the anti-treaty and pro-treaty forces of 1922. Until the 1970s, almost all of Ireland's prominent politicians were veterans of the Civil War, a fact which poisoned the relationship between Ireland's two biggest parties. Examples of Civil War veterans include: Republicans Éamon de Valera, Frank Aiken, Todd Andrews, and Seán Lemass, Free State supporters W. T. Cosgrave, Richard Mulcahy and Kevin O'Higgins.Sean Lemass' brother Noel, a captain in the Anti-Treaty IRA, was abducted and shot by Free State forces in July 1923, two months after the war had ended. His body was dumped in the Wicklow Mountains , near Glencree, where it was found in October 1923. The spot where his body was found is marked by a memorial. Moreover, many of these men's sons and daughters also became politicians, meaning that the personal wounds of the civil war were felt over three generations. In the 1930s after Fianna Fáil took power for the first time, it looked possible for a while that the Civil War might break out again between the IRA and the pro-Free State Blueshirts. Fortunately, this crisis was averted and by the 1950s, political violence was no longer prominent in politics in the Republic of Ireland. However, the breakaway IRA continued (and continues in various forms) to exist. It was not until 1948 that the IRA renounced military attacks on the forces of the southern Irish state - now the Republic of Ireland . After this point the organisation dedicated itself primarily to the end of British rule in Northern Ireland. Up until the 1980s the IRA Army Council still claimed to be the Provisional Government of the Irish Republic declared in 1918 and annulled by the Treaty of 1921. Some people, notably Michael McDowell, claim that this attitude, which dates from the Civil War, still underpins the politics of the Provisional Irish Republican Army. J.J. O'Kelly (Sceilg) A Trinity of Martyrs, Irish Book Bureau, Dublin; pp.66-68. "Sceilg" was a supporter of de Valera in 1922. M.E. Collins, Ireland 1868-1966, p. 297. TM Healy wrote of the occupation in late March: "The Freeman published, on 26 March, an account of the secret debate of the mutineers supplied by the Provisional Government, whereupon Rory O'Connor sallied from the Four Courts and smashed its machinery. He had been levying toll on the civil population for weeks." See . Calton Younger, "Ireland's Civil War", Muller, London 1968; pp.258-259. Younger gives the date as 14 April. Michael Hopkinson, Green Against Green, page 112, "Joe Sweeney, the pro-treaty military leader in Donegal, recorded meeting Collins shortly after the assassination. He told Ernie O'Malley, 'Collins told me he had arranged the shooting of Wilson... he looked very pleased'. Frank Thornton one of Collins old Squad recalled that the killing was carried out on the direct orders of GHQ. Mick Murphy of Cork no 1 Brigade, said that when in London he had been asked to take part in the plot explaining, 'they had instructions then from Michael Collins to shoot Wilson' ... statements from Collins' intelligence agents point to fresh instruction being given in June. It is clear also that [Reginald] Dunne [the assassin] and spent some time closeted with him". ME Collins, Ireland 1868-1966, p229, "Evidence has since come to light proving it was Collins, enraged by Wilson's role in the north, who ordered the killing". Niall C Hartigan, The Kerry Landings, p29, "It is probable that the execution of the... field marshal was ordered by Collins". Hopkinson, Michael (1988). Green Against Green: The Irish Civil War. Dublin: Gill and Macmillan. p. 262. Michael Hopkinson, Green against Green (Dublin, 1988) p. 268. Image of Marlfield House at website of present owners accessed 1 November 2008. Debate in Dáil following threat of reprisals. Irish Times, 16 October 2009, p.15. The number of 41,000 emigrants lies within the fall of 106,000 southern Protestants between the 1911 and 1926 censuses, that include war dead, economic migrants and employees of the former administration. Michael Hopkinson, Green against Green, p272-3, "There are no means by which to arrive at even approximate figures for the dead and wounded. Mulcahy stated that around 540 pro-Treaty troops were killed between the Treaty's signing and the war's end; the government referred to 800 army deaths between January 1922 and April 1924. There was no record of overall Republican deaths, which appear to have been very much higher. No figure exists for total civilian deaths." Fearghal McGarry, Eoin O'Duffy, A Self Made Hero, p116, "The recomendation that the force be disarmed [in June 1922]... ensured that it would not be deployed against the anti-treatyites in the impending civil war." Calton Younger, Ireland's Civil War (Frederick Muller, 1968), p516. *McDowell, Michael "Standing up to the Provos and by the true Republic", Irish Independent, 23 May 2004. M.E. Collins, Ireland 1868-1966 : Dublin : 1993. The final siege of Limerick City from 7 July until 21 July 1922, on the Limerick Leader web site.